Barcelona is a wonderful city for shopping. From luxury shops, to the young designers of the city or the shops of classic articles, make Barcelona one of the most important cities, if not the most important for the market in Spain. Beyond this extraordinary variety of styles and shops, the good news is that Barcelona is a European city at bargain prices. The main Spanish brands do not hesitate - all year round - to make discounts of up to 30% of the prices that we will find in other European capitals. Our advice is not to overload your suitcase for the trip. BARCELONA in Flow Motion - A fast moving short film by Rob Whitworth. 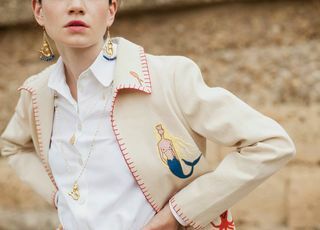 The women's fashion is particularly well represented by the big brands that have all them stores in Barcelona, ​​but also with young creators more and more present. The man will also find easily with what to fill suitcases as well as gourmets as well. 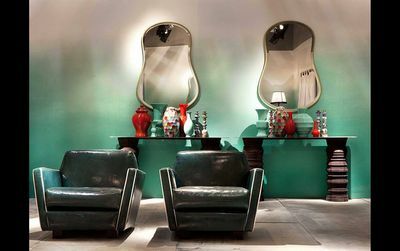 We have found it convenient to create a portfolio with designer shops and interior decoration because Barcelona is a leading city in this field. Sales: the winter sales generally begin in the second week of January and last until the end of February and the summer sales begin on 1st July and last until the end of August. How to pay: most people pay in cash or with a credit card, when you must show your passport or identity card. Tax Free: residents from outside the European Union may have their Value Added Tax (VAT) returned for purchases of more than €90.15. 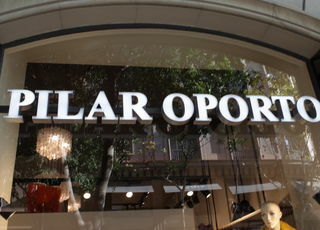 See also all the shops of Barcelona in our directory. Every week we present new stores in Barcelona. Stores of well-known brands or new interesting and innovative openings, always with the idea of facilitating your search and offer you new discoveries. 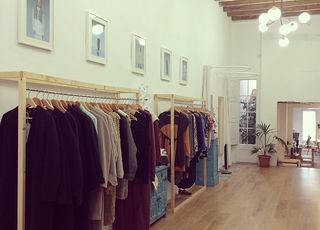 We find absolutely everything in Barcelona: clothes, shoes, dresses, jewelry, accessories, creations, unique pieces, vintage, antiques, design, sport, beach, beauty, wellness ... 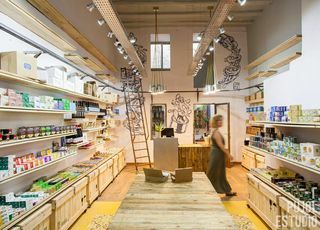 The idea in this section is to talk about stores that stand out either because of its originality or the quality of its products. 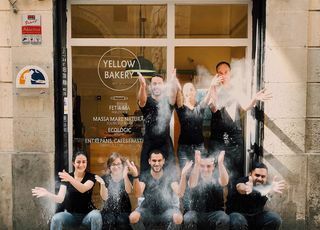 Among the trends in 2017 we will focus on points of sale - these stores at bargain prices - and the new Spanish brands, brands that are only found in Barcelona ..
A new traditional bakery in town: Yellow Bakery. Never less than 36 hours to raise its home-made sourdough and bake its bread... We love it! 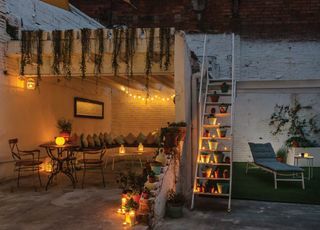 It is through a small door that hides its game that one enters Le Patio Spa, a true haven of peace in the heart of the city. Le Patio Spa then revealed in all its splendour. Shopping in Barcelona in 4 main sections! It is clear that we will find more variety for women than for men in Barcelona. But is it not the same in all the great cities of the world? The fact is that men's fashion is not forgotten and you can find happiness in sports shops, true craftsmen, young designers and some concept stores dedicated to them. 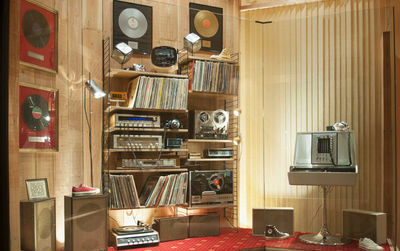 Lovers of design and decoration of objects are not forgotten in the land of Mies van der Rohe. It should be remembered that department stores are the perfect fast way to go shopping, and that the main brands are in one place being the products presented a result of a selection of the most rushed. El Corte Inglés, to name only the best known of them. 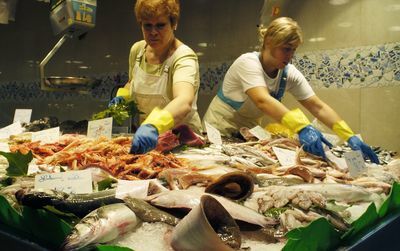 Finally the markets in Barcelona are the most authentic way to go shopping, have a drink or eat some delicious tapas .. 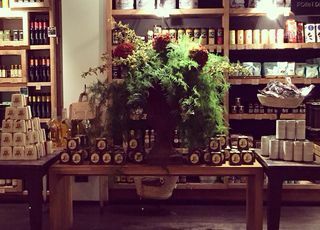 If some, like the Boqueria Market, are a bit too crowded, our selection offers you an offer not often Known around the world, leaving a little of the traditional trails. Best Department Stores and Shopping Centers in Barcelona city centre! 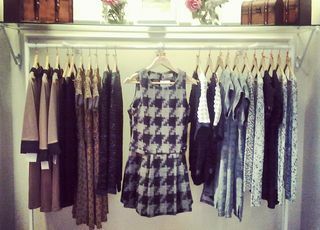 Mango, Zara, Massimo Dutti, Custo, Desigual, Adolfo Domínguez are Spanish brands known all over the world. But there are many more designers to discover in Barcelona. 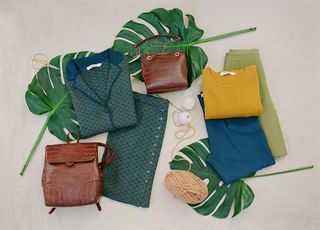 Ese o Eset and Código Básico are two Barcelona brands perfect for basics. 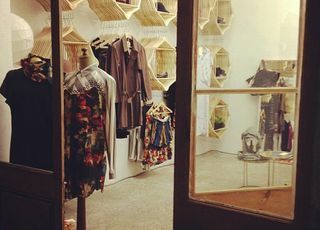 Bimba & Lola, a brand present in one of the shops of Bulevard Rosa, is known for its jewelry and leather goods. The list of these marks is long, and many of them are only present in Spain. Take advantage to know them, since they also have attractive prices throughout the year. 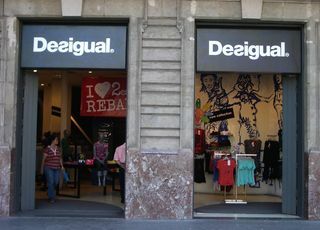 Desigual: a clothing shop in Barcelona that is not the same! 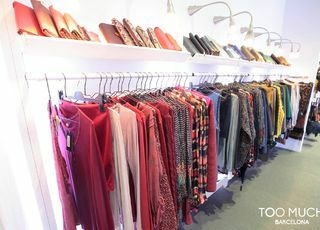 Too Much Barcelona opens its doors on a statement certainly to be taken in reverse: "No, we never have enough of Fashion! " Outlets or shopping at factory prices in Barcelona! 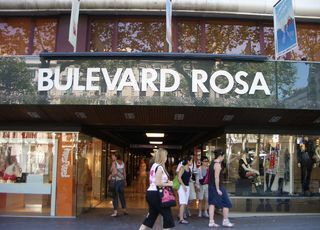 Bulevard Rosa: a shopping area in the heart of Barcelona. Grab a 40-minute guided bus ride from the center of Barcelona to a center of bargains, and back again. 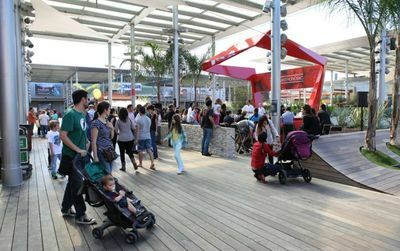 At the popular La Roca Village you'll have access to 130 bargain boutiques. This VIP card gets you an extra 10% off already discounted brand name and designer goods. Live well, shop hard. This is an area that is now unisex. The gluttony! Gluttony is not a sin in Catalonia, but the contrary. You can reserve a good space in the suitcase for certain products that are essential for the return home. At the top of the list, the meat. Remember you are in Catalonia and Spain. 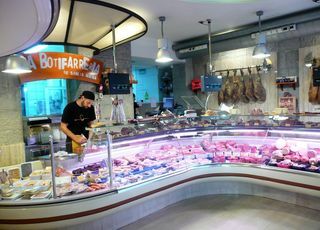 In Barcelona you will find the delicious Jabugos, Pata Negra, Bellota, chorizo, loin from the south of the country, but also the Catalan sausages as "fuets". 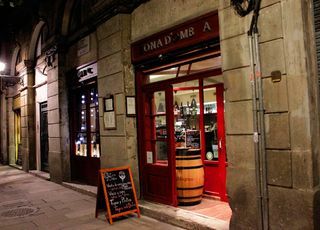 Noteworthy Spanish and Catalan cheeses: Manchego, Manqueso .. it would be a sin not to take some bottles of wines from the Empordà, Penedès, Cava, Tarragona. The denominations, as old as the vine, abound in this region. Chocolate, cakes, sweets, jams, cigars .. The list of sweets is long. These are some good places. In search of Catalan wines..
Great City & People and wonderful shopping! There are few H&M in Barcelona. One is on Rambla, 131 right in city centre. 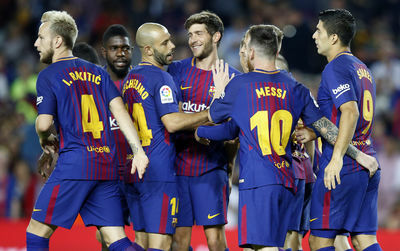 Is there H&M store in Barcelona ? the store called kabinet74 if you like vintage and nordic stuff for your house it is a great place to shop . also the guys who own the place are soo nice the explain about the city and and the stuff they sell . 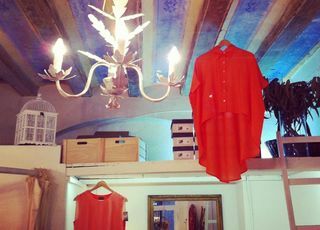 I've always loved Barcelona with Paseo de Gracia district for shopping, but last time I just get lost on its neighborhood streets and I found a real treasure for me - CHERRY HEEL, charming boutique in Mallorca street Nº 273 with lovely selection of Italian designer shoes. There I found my beloved Casadei shoes and I also discovered some new brands for me:Valetti, Le Silla, Sebastian and some brands for men. Valetti wedges just fitted me perfectly, I choose a powder rose pair (from all 8 colors available was really hard to do) and for my London daily life I've got a nice pair of black stilettos with suede details. For each and every shoe addict as me, I definitely recommend this place for various reasons: cozy designer atmosphere with peculiar details (I also had my glass of Cava), multibrand concept with great Italian quality designs (from flats to evening sandals with Swarovski crystals, very posh ones) and professional girls with fluent English. 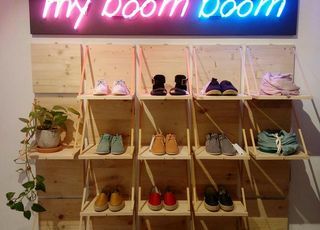 Number Shoes is a shoe for men and women, with international firms, Opening Ceremony; Miista; Vagabond, Swear. Sitruada in the Born district. I love visit Barcelona. 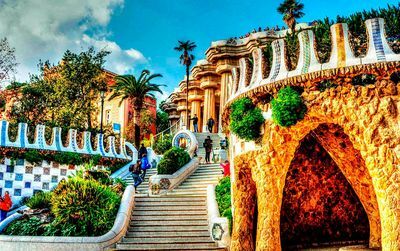 There are a lot of attractions to visit, like Gaudi’s buildings, the sea, the views of tividabo, the wide range of restaurants, the big avenue of Paseo de Gracia full of the best stores perfect to shopping, etc. Last month I travelled with my friends to Barcelona and visited Paseo de Gracia. We´ve listened about its shops and restaurants. It´s an amazing place in which you can buy, eat, walk and have fun. I 100% recommend it. I love shopping in Paseo de Gracia (Barcelona) is an awesome experience! You can buy everything: from clothes to exclusive jewellery. If you want to eat you can choose among different places and types of food. I love shopping in Barcelona. My favorite place is Paseo de Gracia, the big luxurious avenue. I can find there the best designers and stores. 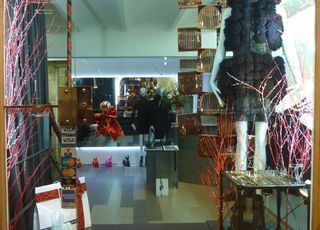 to shop in barcelona, the best place is Paseo de Gracia. Amazing boutiques, stores, restaurants, hoteles,.. everything in one street. Wonderful. A lot of attractions, things to do.. I love to take a weekend and go there to shop in the big avenue Paseo de Gracia. Amazing, all luxury brands, international fashion brands.. its crazy. I just have arrived from Barcelona! 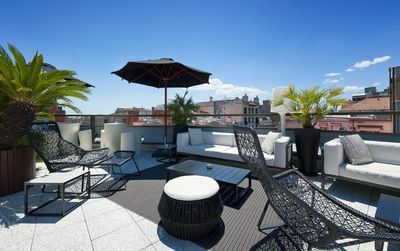 Our hotel was located on Paseo de Gracia, it is the most beautiful street I have ever seen, and you can find here all attractions within walking distance! does anyone know of a craft shop in Barcelona where I can get stuff for sewing, particularly wadding for knitted toys? 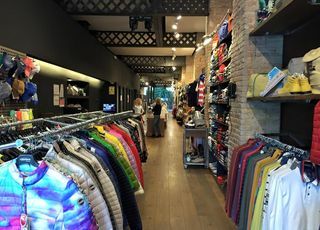 Love to shop in Barcelona around the Passeig de Gracia.. Shops are just awesome and I'm particularly looking for young creators..
Barcelone est une belle ville pour faire son shopping, plein de petites boutiques vraiment sympas. Second time in Barcelona and enough to get off the tourist trail. I´m french, but live in the States and it´s a pleasure to discover a baby clothing brand with such a nice design and high quality fabrics. The brand name is Normandie (www.normandie.es but the site is not translated yet), and the little boutique I´ve visited was located in the middle of the Eixample, and in front of a nice restaurant (Cerveceria La Catalana). I really recommend the boutique to any mother o anyone that want to make a gift! 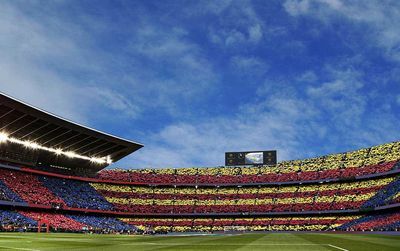 Coming soon to barcelona. perfect for winter sales! Stay away from this souvenir shop! We were checking out a T-shirt to buy as a gift to a 4 year-old, but the one in the store was to small. Then the guy working there pleasently said he would check in the back for the right size. After a few moments he came back with the right size and it was wrapt up in a concealed plastic bag. When we arrived back home, it was way to big and the guy actually had cut off the tag in the neck. He even made a hole in the shirt while trying to remove the tag. What an unbelivable loser, especially when the buyer of the shirt was 10 years old. une belle ville pour le shopping même si ce n'est pas Londres ou Paris.. Mais super quand même. Presque toutes les boutiques petites ou grandes marques sont dans le même coin ce qui n'est pas désagréable voir génial.. Quelques créateurs locaux ou espagnols à suivre.